New Delhi : China to import 15000 tonnes of sugar from India, the world’s 2nd largest producer of the sweetner. 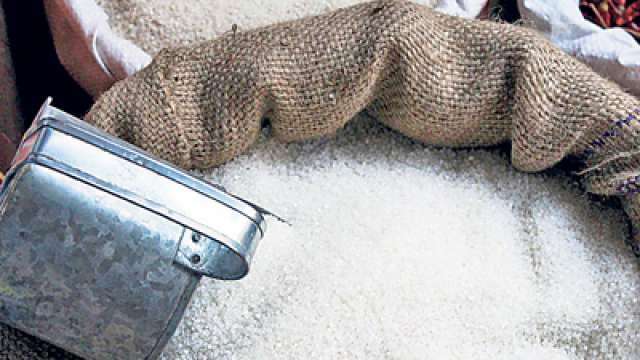 A contract for exporting 15,000 tonnes of raw sugar has been entered to by the Indian Sugar Mills Association (ISMA) and COFCO, a Government of China run public sector company. This is due to the initiative taken by the Ministry of Commerce and several rounds of meetings held by officials of both countries the import of raw sugar has materialized now. India plans to export 2 MT of raw sugar to China beginning from next year. Raw sugar is the second product after non-basmati rice that China will import from India. It is a move to reduce the USD 60 billion trade deficit that China has with India. India’s export to China in 2017-18 amounted to USD 33 billion while imports from China stood at USD 76.2 billion. India is the largest producer of sugar in the world with 32 MMT production in 2018. India produces sugar of all three grades- raw, refined and white. Indian sugar is also of a high quality and is Dextran free because of the minimum time taken from cut to crush. India is in a position to become a regular and dependable exporter of high quality sugar in significant volumes to China.